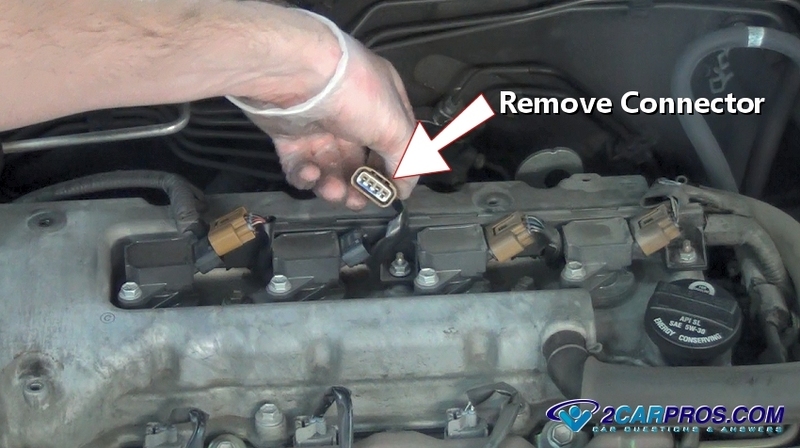 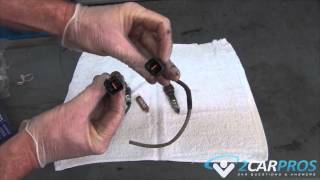 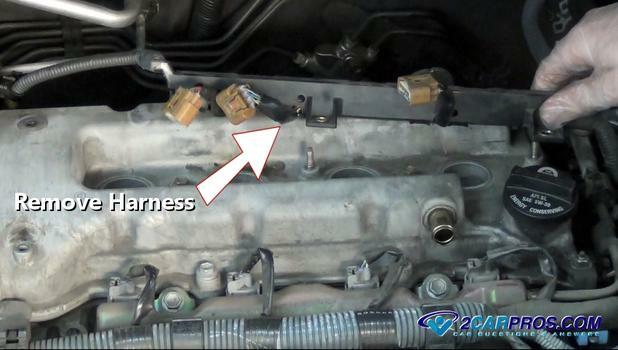 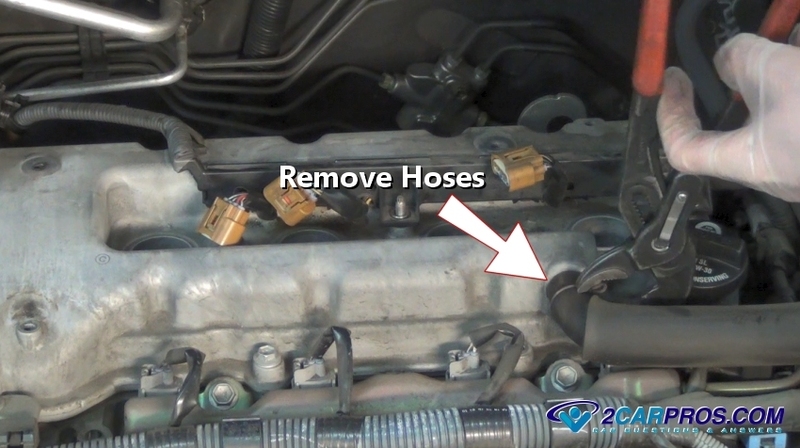 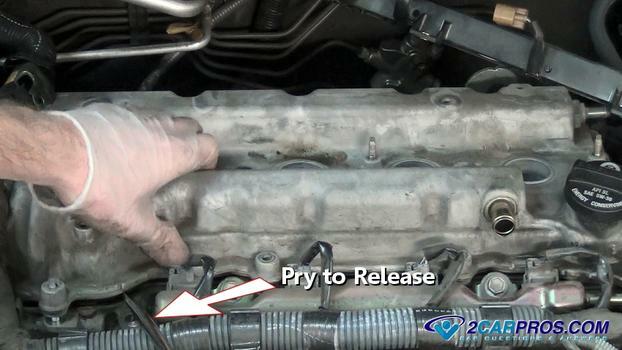 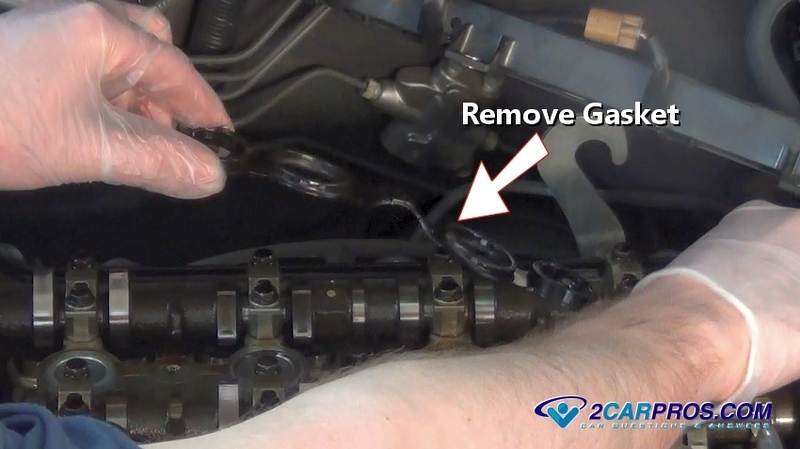 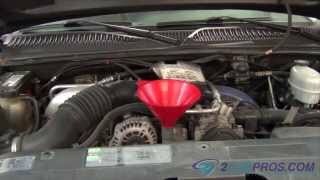 Easy step by step guide on how to replace an automotive engine valve cover gasket, though configurations will vary, the process is similar, this information pertains to most vehicles. Begin with the vehicle on level ground, engine "OFF", in park with the emergency brake set, wear protective eye wear and gloves using a basic set of tools. 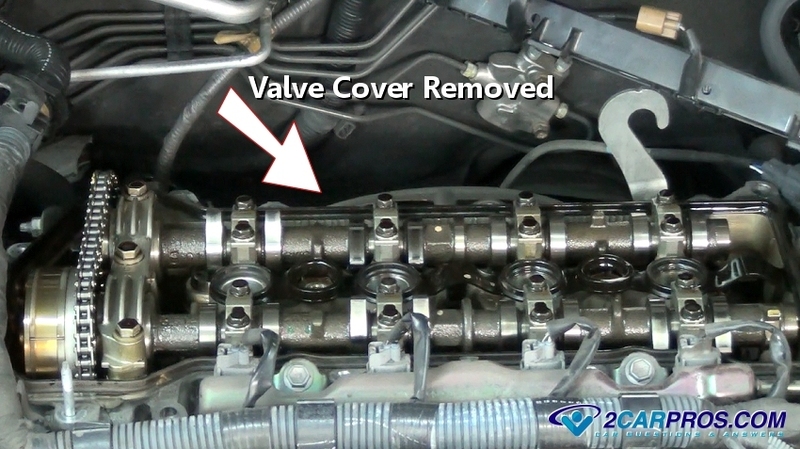 Step 1 - Some engine's have a plastic cover over the valve cover that must be removed by loosening and removing the mounting nuts or bolts. 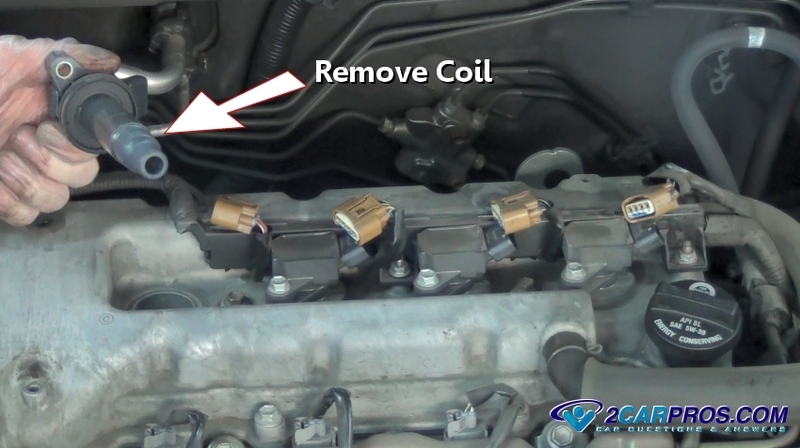 Step 2 - Some engine's are designed with ignition coils mounted to the valve cover which will need to be removed, start by removing the electrical connectors. 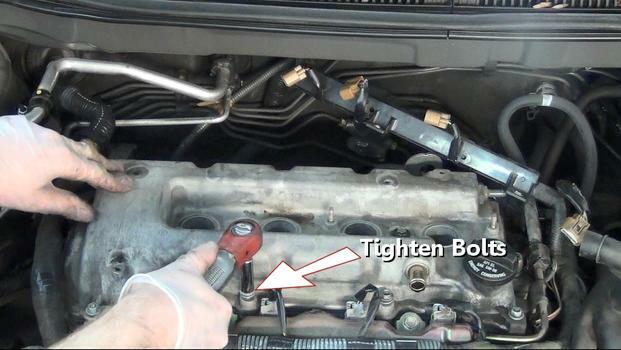 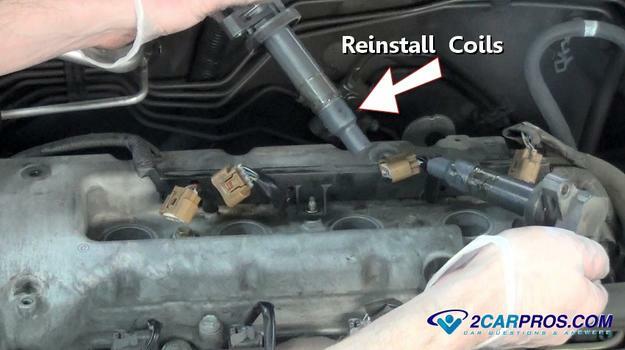 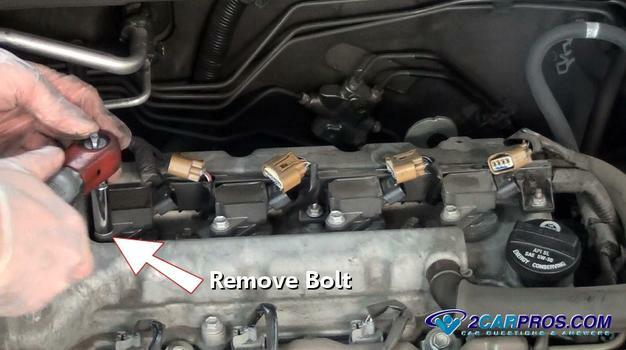 Step 3 - Loosen and remove the mounting bolts that secure the ignition coils. 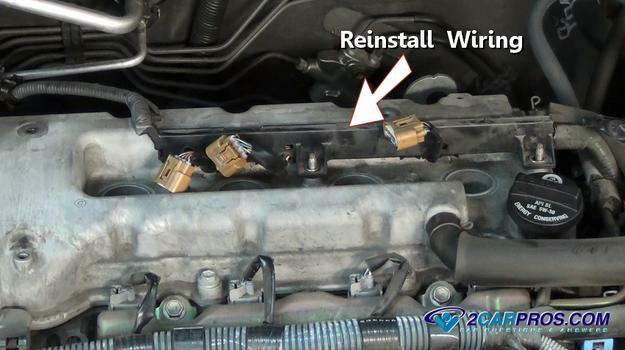 Step 4 - Remove the ignition coils from the valve cover and inspect. Step 5 - Inspect the valve cover to remove any breather hoses or plastic clips that are attached by releasing the clamp using pliers. Step 6 - Remove wiring harness mounting bolts to remove the harness from the valve cover. 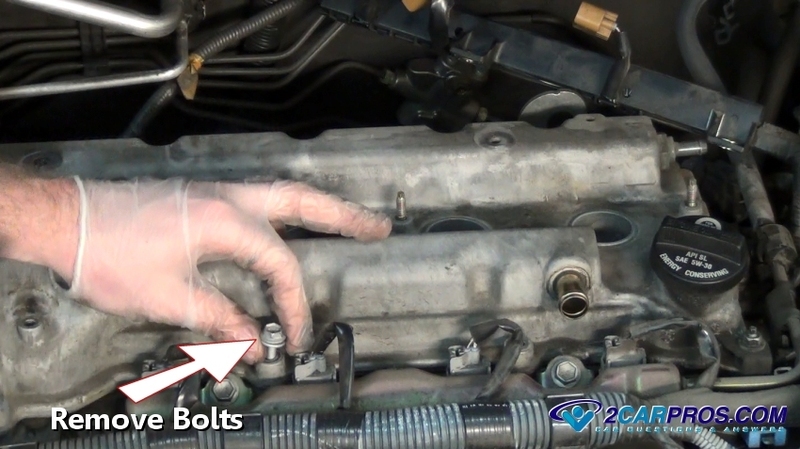 Step 7 - Loosen and remove all valve cover mounting bolts. Step 8 - Be sure all valve cover mounting bolts have been removed before trying to remove the cover to avoid damage, use a screw driver or small pry bar to wedge in-between the cover and cylinder head to pry the cover seal loose. 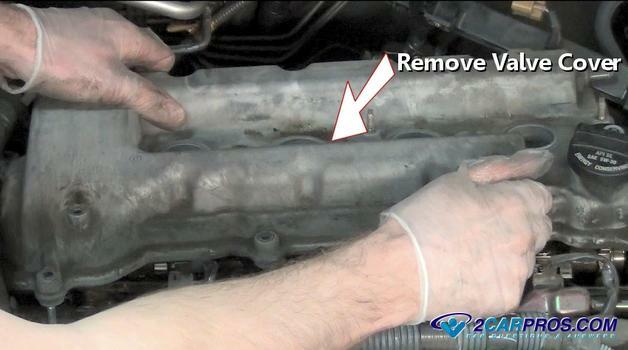 Step 9 - Grasp the valve cover firmly and lift it from the engine bay, a small amount of oil will be present. Step 10 - Once the valve cover has been removed, the valve train will be exposed, be sure to keep dirt and debris from this area, check the area for excessive sludge build up and clean if needed. 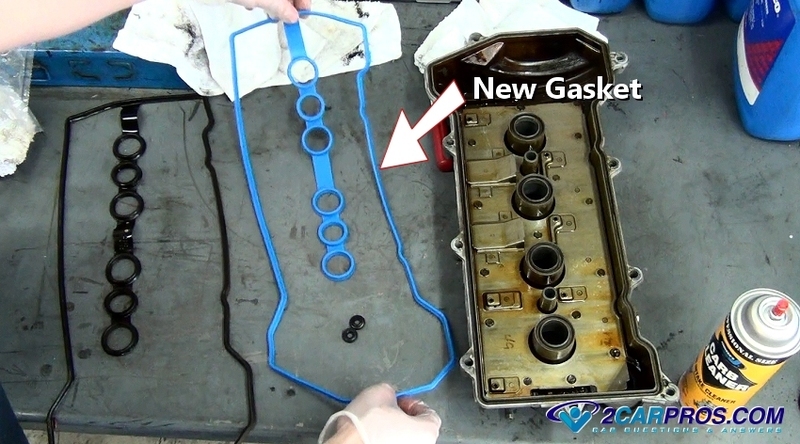 Step 11 - The cover gasket will either be stuck on the cylinder head, or the valve cover itself, remove the old gasket. 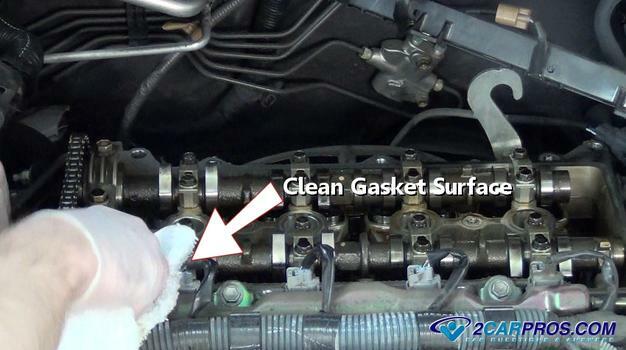 Step 13 - Use carburetor cleaner and a shop towel to clean the gasket surface of the valve cover. 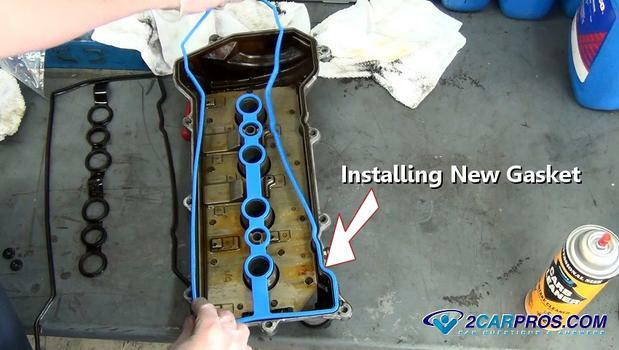 Step 14 - Match the old gasket to the new unit to ensure a proper installation. 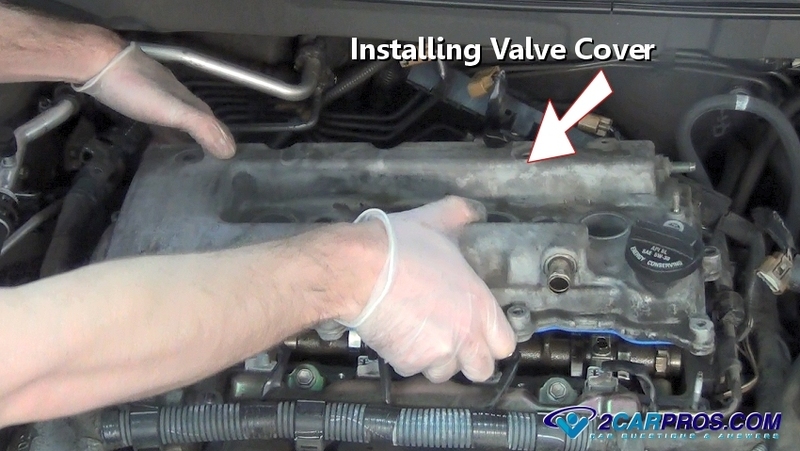 Step 16 - Gently lower the valve cover into place while ensuring nothing is caught under the gasket during installation. 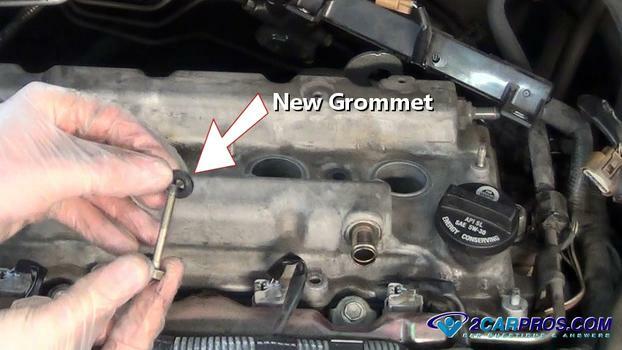 Step 17 - Some valve cover bolts require a new grommet or gasket which should be included in the new gasket kit. Step 18 - Once all valve cover bolts have been installed by hand, gently tighten the bolts down evenly, in small increments, using a star pattern, bolts should be snug, not super tight. 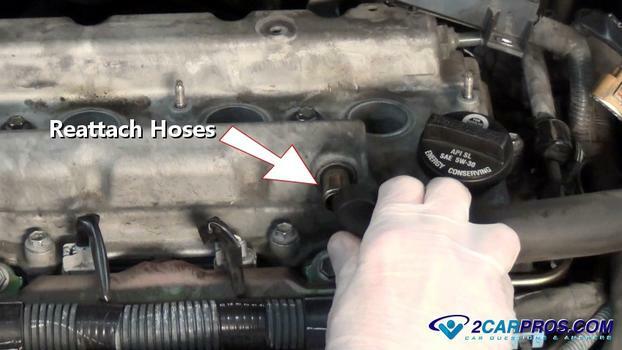 Step 19 - Reattach all hoses and plastic clips which were removed earlier. Step 20 - Reinstall ignition coil wiring harness mounting nuts and tighten. Step 21 - Reinstall ignition coils and mounting bolts, tighten and reattach wiring harness connectors. 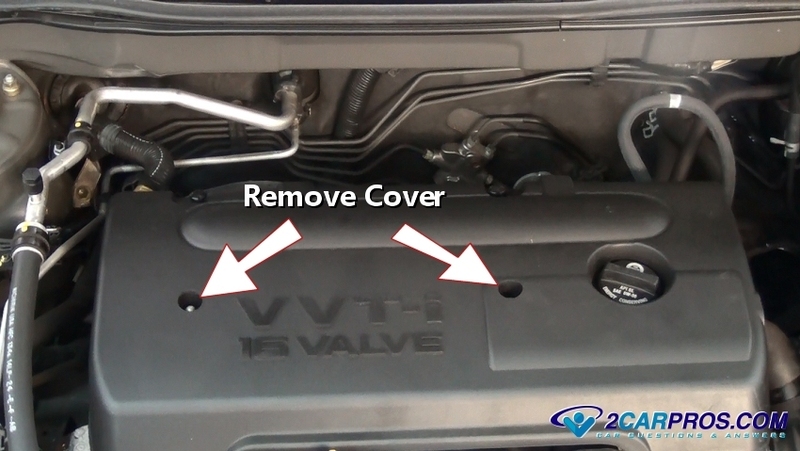 Position the plastic cover back into place and install the hold down nuts and tighten. 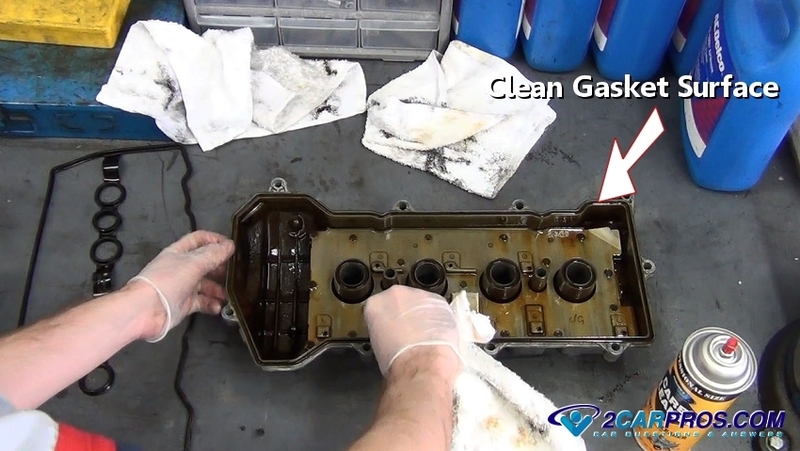 Oil is present inside the engine, this oil must be contained through the use of gaskets and seals, these units can wear and fail allowing oil to leak externally. A valve cover gaskets is located between the engine block and cylinder head, when it fails it can leak oil onto the exhaust manifold were it's burned with a noticeable odor.